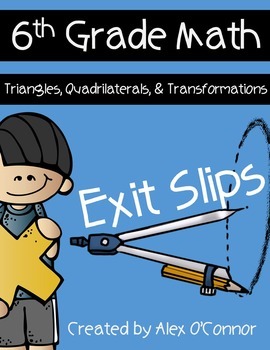 This document includes 4 exit slip math problems for each of the following topics related to triangles, quadrilaterals, and transformations (40 total problems). The problems for each concept increase in difficulty and are meant for use as an exit slip to check for student understanding. An answer key and teacher guide IS included! You can get this resource and many of my other upper elementary/middle school resources at a discount as a part of the following mega bundle! These are the topics included in this set of exit slips. Problems are not meant to be a lesson in itself, but can be used in lots of different ways. Great to use in math centers with students, as problems for students who are finished with work, or as exit slips. 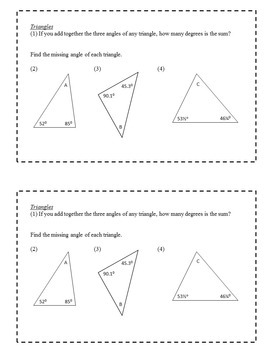 These problems are intended for use in 6th grade, but could also be used with 4th or 5th grade students. For those of you who have downloaded my Math Task Cards or Math Enrichment Task Cards, these exit slips are in a similar format but include all new problems! In my classroom I use the task cards during the lesson and these exit slip problems as a check for understanding each day! 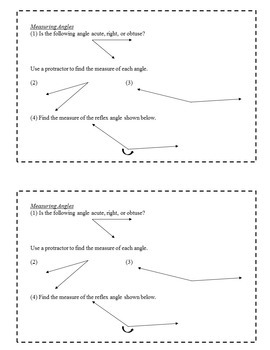 Here are links to all of my Math Task Cards and Math Enrichment Task Cards. You can save by purchasing many of my 5th/6th grade resources as a part of this Math Mega Bundle (Part 1)! These exit slips are not a part of this mega bundle.